The late 80’s represented uncharted territory for video games. While a great many games existed—at wildly varied levels of quality—no game had yet been so greatly successful as to drive a sequel. As such, the concept of what a video game sequel could or should be was far from clear. When Nintendo approached this problem, they held the philosophy that a sequel should stand out and differentiate itself from what came before. This led to many “black sheep” in franchises fans still know and love today, including The Legend of Zelda. The Legend of Zelda is a top-down action-adventure game with a focus on exploring the land of Hyrule—the vast majority of which is entirely accessible from the start. 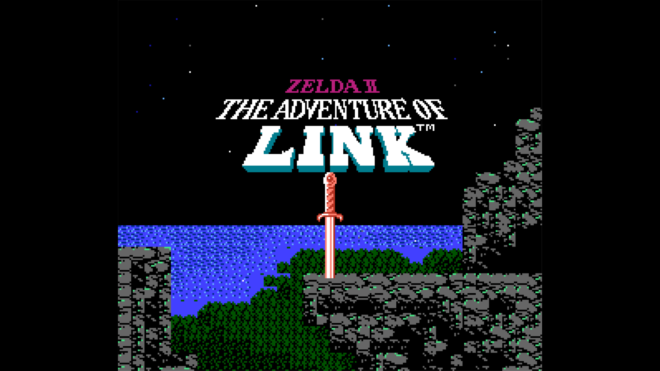 In a far cry from the presentation of the original, Zelda II: The Adventure of Link relegates the top-down perspective to the overworld. 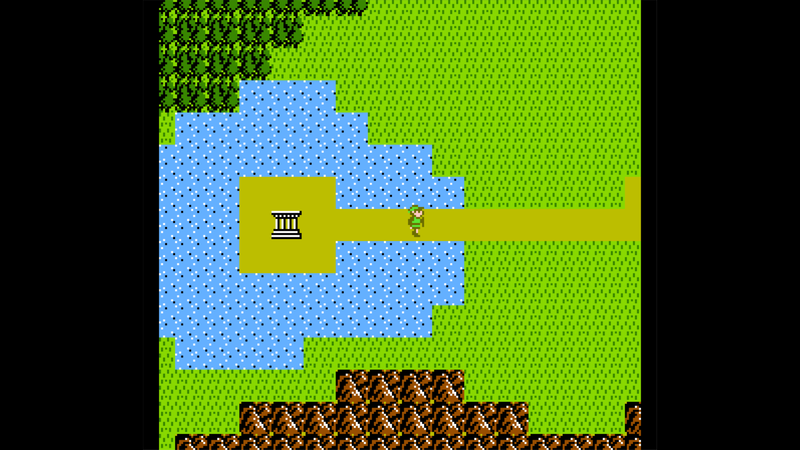 Even the top-down overworld of Zelda II is significantly different from the Zelda of the past. 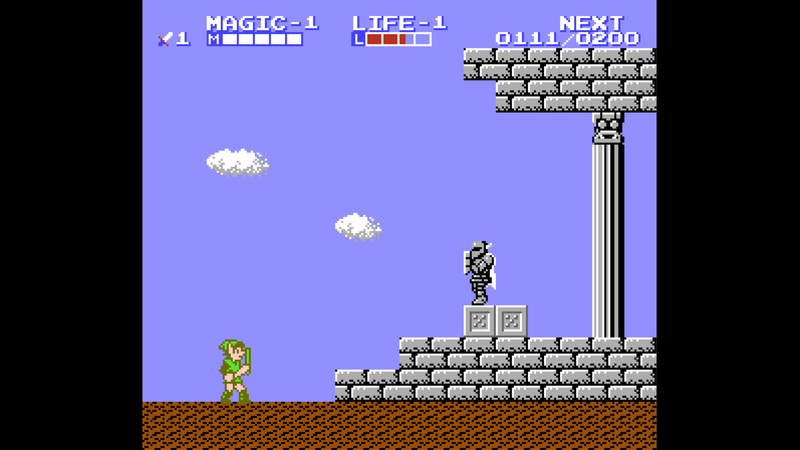 Dungeons, towns, and enemy encounters are instead presented as side-scrolling platformers in a similar vein to Super Mario Bros.—complemented by one of the only lives systems present in the Zelda franchise. 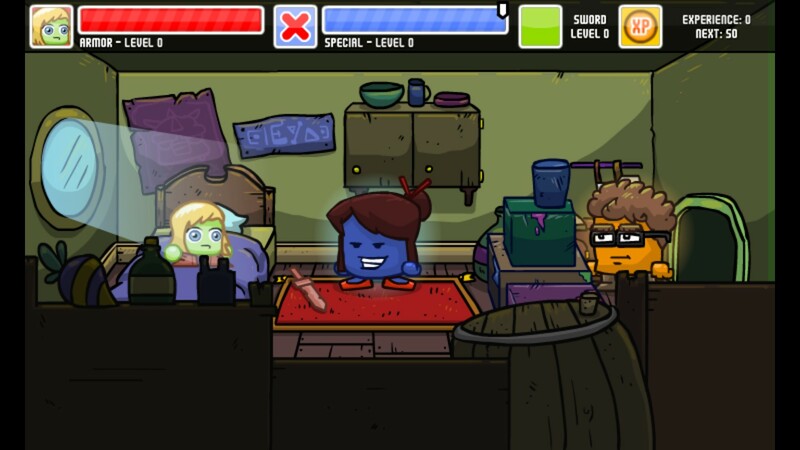 The extra lives are more than necessary; the average player will see the flashing death screen many times during their adventure. Zelda II was a unique take on the Zelda series, created before the notion of a “Zelda formula” existed. It was the first game in the series to truly qualify as an action RPG, as the addition of since-unseen random encounters, experience points, and levels melded with platforming challenges and combat focused on dueling one-on-one rather than groups of enemies at a time. Unless the enemy drops a magic bottle or experience bag, this floating number illustrates the experience points gained for its defeat. Interestingly, for all its RPG elements, one of the only such systems in the first game—the shop—is entirely absent. This is likely because there are no consumable items in the game, and all collectible items are carefully placed to encourage gradual progression through exploration—there’s little room for currency in the game’s structure. While many differences between the first and second games stem from systems the two don’t share, there are a few similar systems implemented in ways that make the games distinct as well. 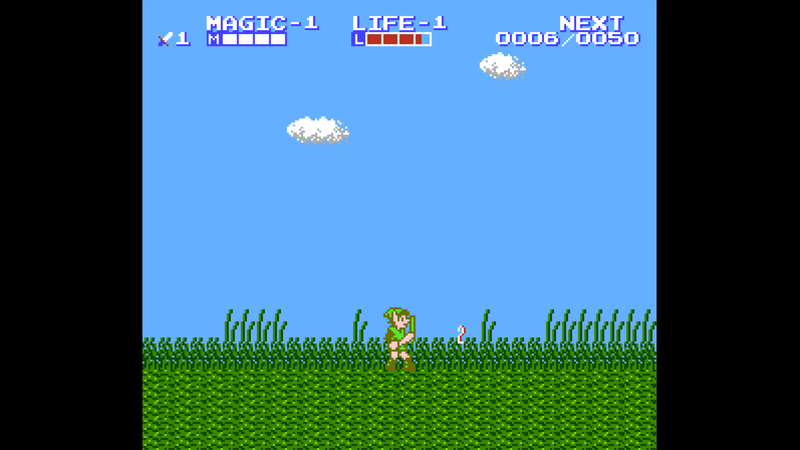 For instance, as mentioned above, the overworld of Zelda II is non-combative, switching to side-scrolling platforming for anything more involved than wandering the map. The means and presentation of combat are also entirely different. 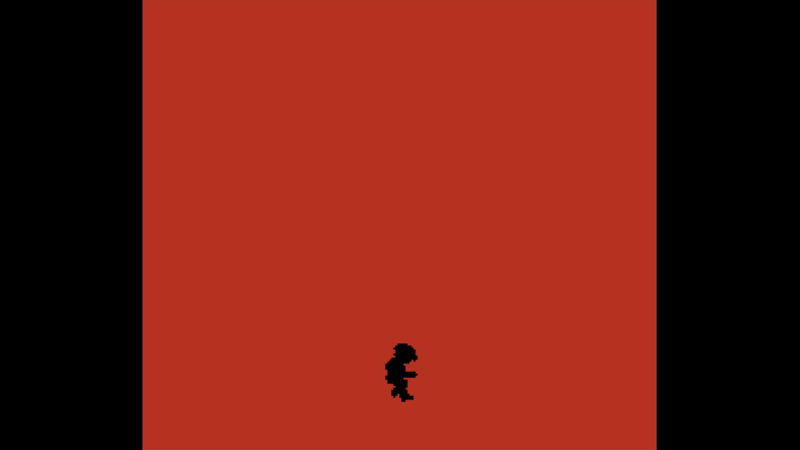 The first game offers plenty of space to maneuver and take down rooms full of enemies, while the second limits free movement to one dimension and generally presents a single enemy at a time. These differences are clear in the final boss battles of each game; while the first sees the player moving to avoid attacks and strike back, the second is a relentless duel against a foe who has power to match the player’s. 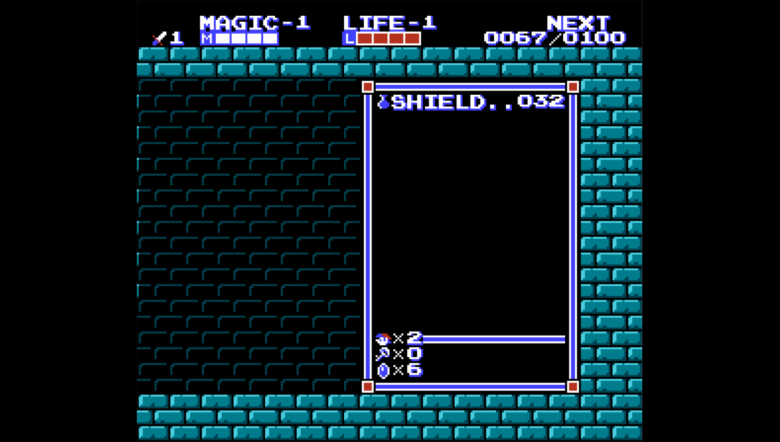 Interestingly, the different stats Zelda II tracks have different leveling curves. That menu will fill with far more spells as the quest goes on. In Zelda 1, the candle could be purchased from shops, but here, it's a dungeon item linked to forward progress through dark caves. The townspeople are a skewed mix of cryptic and useless, as a general rule. The first dungeon of Zelda 1 opens with a room full of Stalfos, while just one is a formidable foe in the first temple of Zelda II. 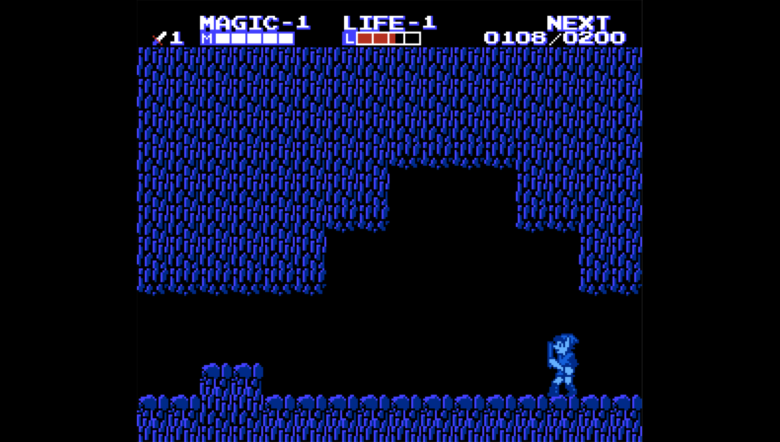 Zelda II has had a rather mixed influence on the series going forward. While its temples and their theme are the basis for a popular recurring stage in Super Smash Bros., the vast majority of the mechanics and even enemies Zelda II introduced have never made a reappearance—it took until Breath of the Wild to have a dedicated jump button again. It may not look like much, but this is the origin of the fan-favorite Hyrule Temple stage in every Super Smash Bros. game since Melee. Despite this, there are a notable couple of elements that have become recurring features: magic and the mysterious Dark Link. 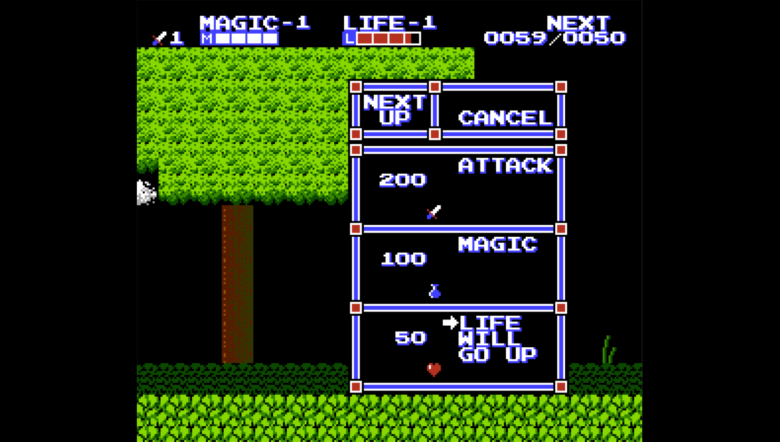 The series hasn’t had another spellsword Link to the same extent as Zelda II, but the magic system reappeared in Link to the Past immediately after, and has remained a staple of the games to follow. Dark Link has had a variety of roles throughout the series, none heavily explained or contextualized, but it all started with the mysterious swordsman at the end of the Great Palace. It’s not hard to compare the presentation of Super Chibi Knight with that of its decades-old inspiration. Among fans of the Zelda series and game industry veterans alike, Zelda II has a wildly varied reputation. It has well-earned its place among the most difficult games in the series, but this has not kept it from inspiring a few future game developers. 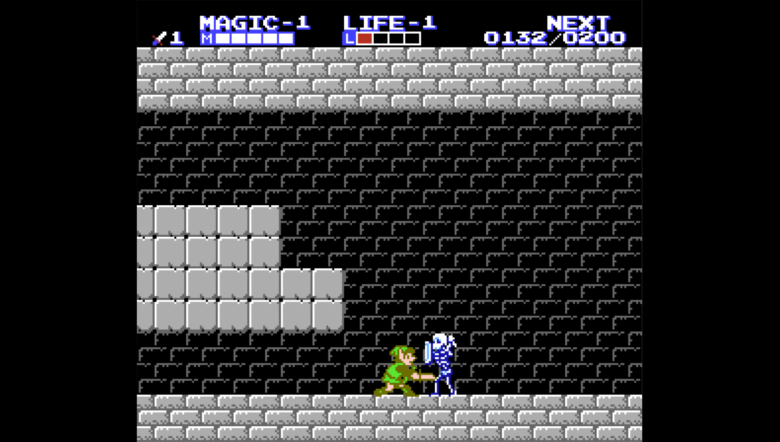 Games such as Super Chibi Knight and Gunmetal Arcadia Zero draw clear inspiration from Zelda II’s unique blend of platformer and RPG, and they keep its spirit alive to this day. 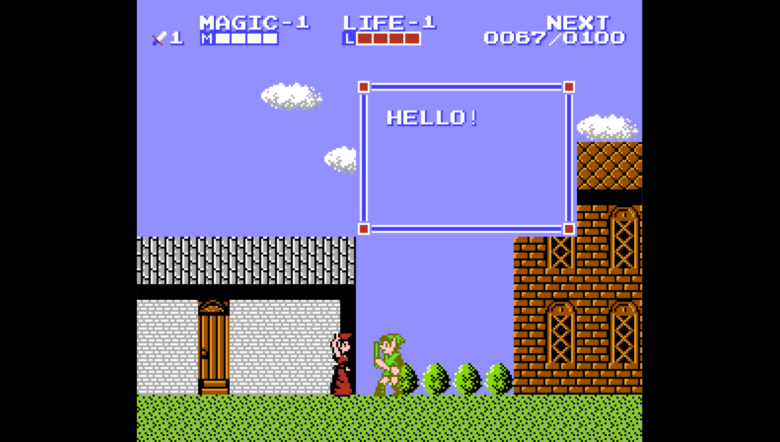 I had never realized that Zelda II looked so much like Super Mario Bros. in some ways… Also NES townspeople, amiright?